The Romans did not invent roads, of course, but, as in so many other fields, they took an idea which went back as far as the Bronze Age and extended that concept, daring to squeeze from it the fullest possible potential. The first and most famous great Roman road was the Via Appia (or Appian Way). Constructed from 312 BCE and covering 196 km (132 Roman miles), it linked Rome to Capua in as straight a line as possible and was known to the Romans as the Regina viarum or 'Queen of Roads'. Much like a modern highway, it did not go through less important towns along the way, and it largely ignored geographical obstacles. For example, the impressive 90 km stretch from Rome to Terracina was built in a single straight line. The road would later be extended all the way to Brundisium and thus reach 569 km in length (385 Roman miles). Lasting symbols of the imagination of Roman engineers are the many arched bridges and viaducts still standing around the empire. From early bridges such as the Ponte di Mele near Velletri with its single vault and modest span of 3.6 m to the 700 m long, 10-arch viaduct over the Carapelle River, these structures helped achieve the engineers' straight-line goal. The Romans built to last, and the piers of bridges which crossed rivers, for example, were often built with a more resistant prow-shape and used massive durable blocks of stone, while the upper parts were either built of stone blocks strengthened with iron clamps, used cheaper concrete and brick, or supported a flat wooden superstructure. Perhaps the most impressive bridge was at Narni. 180 m long, 8 m wide and as high as 33 m, it had four massive semicircular arches, one of which, stretching 32.1 m, ranks as one of the longest block-arch spans in the ancient world. Two of the best surviving bridges are the Milvian bridge in Rome (109 BCE) and the bridge over the river Tagus at Alcantara (106 BCE) on the Spanish-Portuguese border. Roman roads were, then, the arteries of the empire. 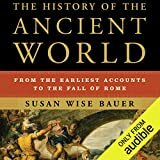 They connected communities, cities, and provinces, and without them the Romans could surely not have conquered and held onto the vast territories they did over so many centuries. Further, such was the engineering and surveying skills of the Romans that many of their roads have provided the basis for hundreds of today's routes across Europe and the Middle East. Many roads in Italy still use the original Roman name for certain stretches, and even some bridges, such as at Tre Ponti in modern Fàiti, still carry road traffic today. Grant, M. History of Rome. (Prentice Hall, 1978). Oleson, J.P. Oxford Handbook of Engineering & Technology in the Classical World. (OUP, Paperback(2009), 2014). Cartwright, Mark. "Roman Roads." Ancient History Encyclopedia. Last modified September 17, 2014. https://www.ancient.eu/article/758/. Cartwright, Mark. "Roman Roads." Ancient History Encyclopedia. Ancient History Encyclopedia, 17 Sep 2014. Web. 25 Apr 2019. Submitted by Mark Cartwright, published on 17 September 2014 under the following license: Creative Commons: Attribution-NonCommercial-ShareAlike. This license lets others remix, tweak, and build upon this content non-commercially, as long as they credit the author and license their new creations under the identical terms. Please note that content linked from this page may have different licensing terms.